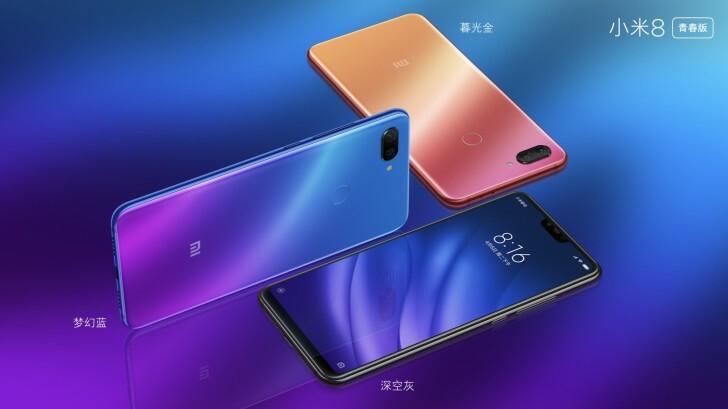 Xiaomi Mi 8 Lite Price for European Markets Revealed - Playfuldroid! The Xiaomi’s Global Spokesperson and Director of Product Management, Donovan Sung had confirmed in the previous month that the Xiaomi Mi 8 Lite is heading to markets like Ukraine and France. However, the pricing of the phone for European markets was not confirmed. Reliable industry expert Roland Quandt has shared leaked information on the pricing of the Mi 8 Lite variants for the European markets. Quandt claims Germany, Czech Republic and Austria could be the markets that will be receiving the Mi 8 Lite in couple of days. The handset may arrive with 4 GB of RAM and 64 GB storage or 4 GB of RAM and 128 GB of storage depending on the region. Both models are expected to 279 euros and 319 euros. The Xiaomi Mi 8 Lite is fitted with a notched screen of 6.2 inches that offers Full HD+ resolution. The notch of the phone is blessed with a 24-megpaixel selfie shooter. The back panel of the phone has 12-megapixel + 5-megapixel dual camera system. The Mi 8 Lite is driven by Snapdragon 660 chipset. It receives power from 3,350mAh battery. The smartphone is fueled by Android 8.1 Oreo OS.